Pushkin Press has published a priceless gem by the Russian emigré writer Gaito Gazdanov whose own life was about as exciting as this high octane novella. Highly recommended. This short novel by the Russian emigré writer, Gaito Gazdanov, takes you by the scruff of the neck with the very first lines and does not let you go until the suspense has been drained from you on the very last page. The hero the book, a nameless Russian journalist living in Paris, encapsulates many autobiographical features of Gazdanov’s own life. 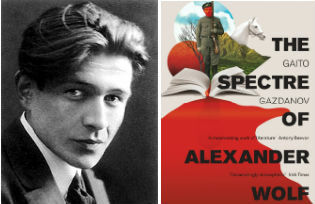 The author, at the tender age of 16, signed up to fight for the White Army in the Russian Civil War. He was from a well-to-do family but after the war, when he fled from Crimea in 1920, he had to fend for himself. After a brief sojourn in Gallipoli and Contantinople (where he completed secondary school), he moved to Paris, where he spent eight years variously working on the docks, washing locomotives, and in the Citroën factory. During periods of unemployment, he slept on park benches or in the Métro. In 1928, he became a taxi driver, working nights, which enabled him to write and to attend lectures at the Sorbonne during the day. His first stories began appearing in 1926, in Russian émigré periodicals, and he soon became part of the literary scene. In 1929 he published An Evening with Claire, which was acclaimed by, among others, Maxim Gorki and the great critic Vladislav Khodasevich. The journalist protagonist of the book earns a modest living on a newspaper but is continually haunted by his memory of having killed a man during the war, until he comes across a book of stories, one of which recounts exactly the episode of the murder but from the point of view of his supposed victim, Alexander Wolf. There follows a search to track down the author of the story to find out if perhaps he might still be alive. The publisher insists that Wolf is in fact English which throws the search into confusion. The narrator begins an affair with a fellow Russian with a mysterious past and a complex psychology, Yelena Nikolayevna. Then right on cue Alexander Wolf enters their lives. The psychology of the characters is cleverly drawn, there is even a healthy dose of Dostoyevskian philosophical angst, some existential wanderings through Paris, all topped off by the razor sharp dialogue. It is a very fast read: yes, it is short, but you are gripped all the way through. 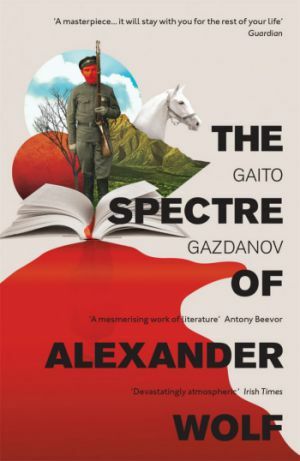 The book has led reviewers to compare Gazdanov to Proust and Nabokov, clearly feeling the need to drag this undiscovered genius to the celestial heights where he belongs. The book in itself is a great discovery, as is the writer himself who led such a fascinating and wild existence. The translation by Bryan Karetnyk is also excellent. Highly recommended.